Riding in a Chicago Coach Bus, while you party it out adds more than just fun and excitement to your overall party mood. Chicago is famous for its late night parties, bars and girls. Different people have different ways of reaching out to party venues; some prefer to walk, some take a Chicago taxi cab, some take a bus and very few take a limousine. So what is it about traveling to party in a Chicago Coach Bus that makes it all so special? Above all it’s the class that matters! It’s the elegance of traveling in a limousine that automatically goes on to show about the personality of the person traveling inside. 55 passenger. 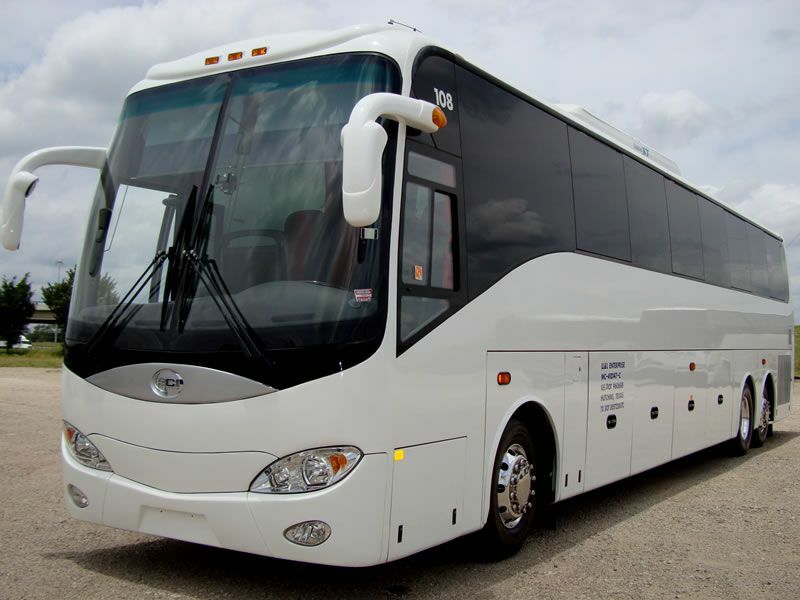 Fully equipped with upgraded stereo system, 12 CD changer, flip-down TVs, VCR, DVD, seat belts on all seats, interior and exterior paging system and lower level luggage storage.